You think my toes look bad? 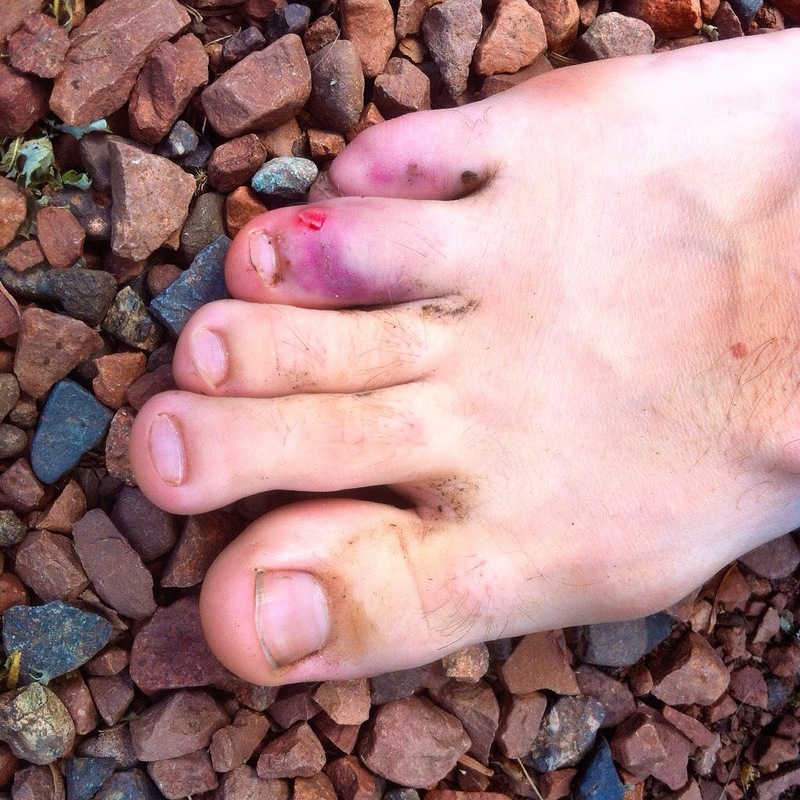 You should see the rock I tripped on…kicked it so hard it came out the dirt! 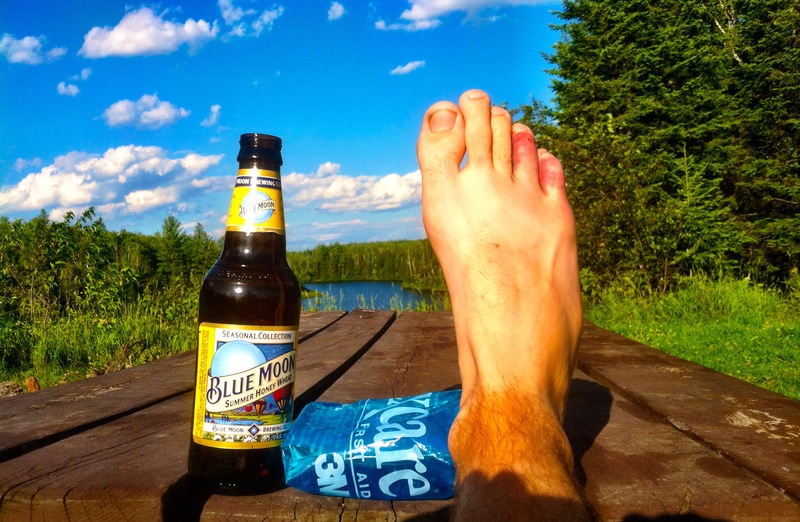 About 2 miles into a 7 mile run to Minnesota’s highest peak (Eagle Mountain in the Boundary Water Canoe Area Wilderness) I tripped and fell hard. Trying to save my face from hitting the rocks I first hit the ground with my left hand holding a water bottle. I am calling it a pretty graceful fall, as I caught myself semi-sliding with my right hand and knee in a kneeling position. I jumped up quickly and took off running while trying to shake it off. After a the short sprint I slowed to a walk to assess the damage. No visible blood or scratches, just dirt. Only thing was I had a pain in my left heal and my toes felt numb’ish when I pushed off. A smart person would turn around and call 4 miles a good day. Well, being the stubborn runner I am I continued walking up to the summit. Hitting an overlook I got a surge of notifications on my phone as I picked up service for the first time in a day. Taking it as a sign I called my Dad. Told him what happen and jokingly said that I might get eaten by a wolf, bear or mountain lion. After hanging up I could feel my foot was starting to swell. 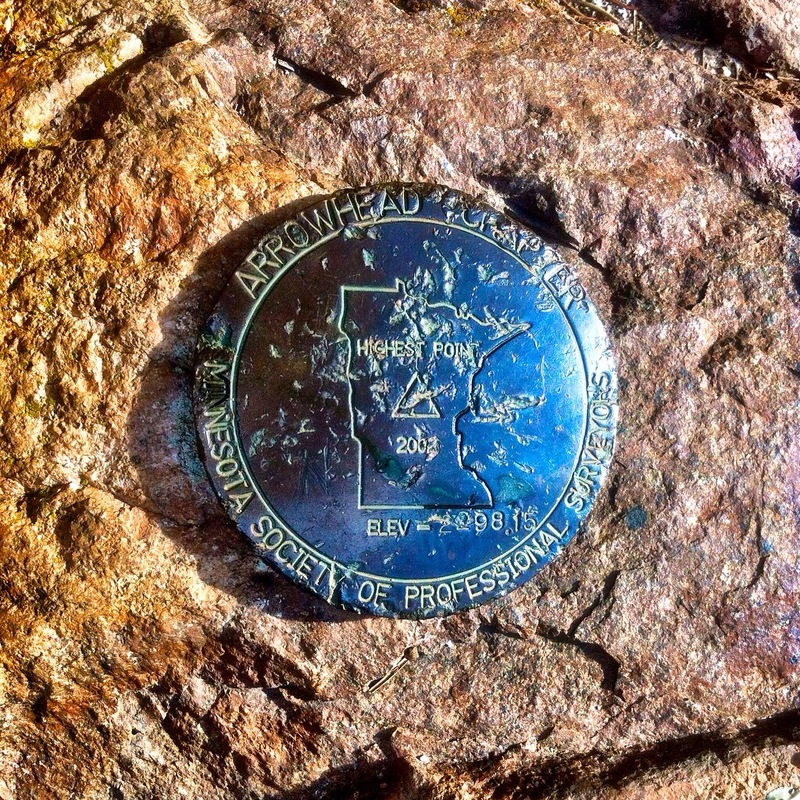 I looked around for the summit marker to make my Minnesota’s highest peak run official. 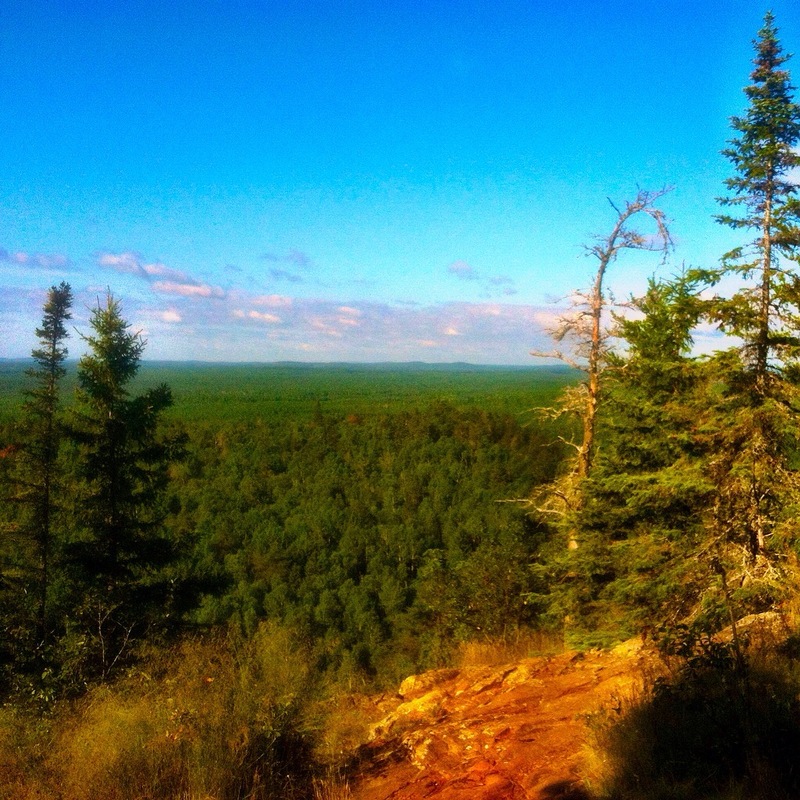 I ended up hiking a bit more to find it up the trail. On the way down I started to walk/hobble. It only hurt if my toes bent around a rock or root. Knowing it would only get worse I started to run the 3.5 miles back to the van. With luck I only aggravated my toes a few times on the way down. Getting back to the van I was nervous to see what the pain was all about. Removing my shoe and sock I see my 4th and 5th toes were black and blue. My 4th toe had a small puncture with a little blood where I assumed the cut came from my pinky toenail. Since no bones were sticking out I concluded that medical attention was not needed. I drove to the nearest town to get a bag of ice, beer and some junk food to help ease the pain. As I near my home town to close out my East Coast journey this is almost a fitting circumstance. A month in I had a incident where I injured my left hand crawling into a cave to see a 35ft waterfall. Smashing my hand into a rock I bruised my pinky and ring finger causing horrific pain for serval days. 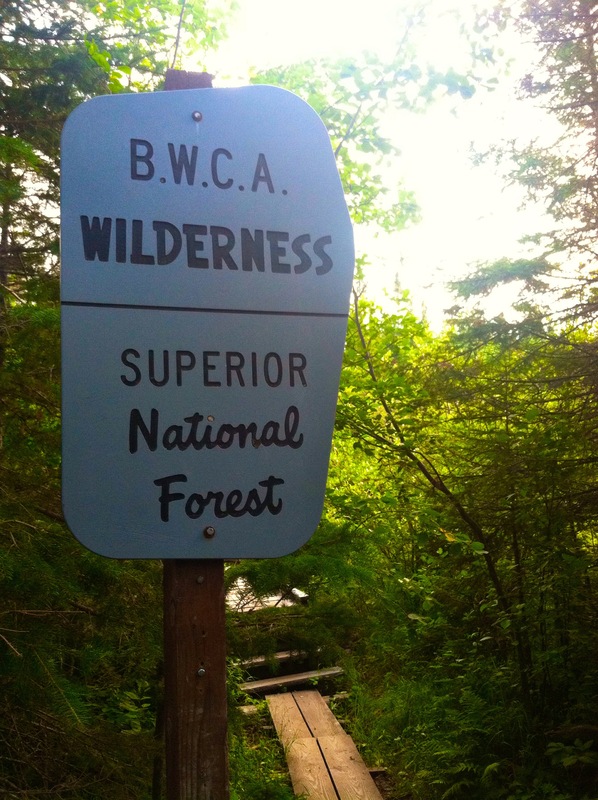 Either way I recovered nicely…free camping with a bunch of left over cut fire wood and a lake view in Superior National Forest. Running in Cuyahoga Valley National Park Ohio.